Despite the fact that Nigerians are still basking in the euphoria of a snake swallowing N36 million in Benue JAMB office, it has been alleged that monkeys have taken N70 million belonging to the Northern Senators Caucus. That N70 million was money gathered from the 7th Senate. It was handed over to northern senators of 8th Senate. The rumours going round, which I don’t know whether it’s true but I believe other senators know, is the fact that there were allegations that some monkeys raided the farm house of some of the executives of the northern senators forum and carted away some of this money. 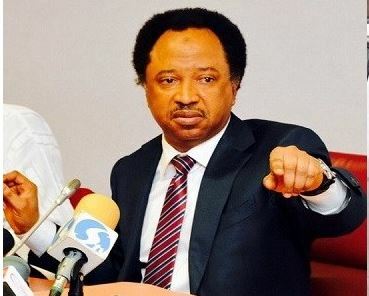 Sen. Sani was in the news recently for storming the headquarters of the JAMB office with snake charmers to catch the money swallowing snake.